On March 6th, 2013, KPHO News 5 reporter Donna Rossi did a follow up news segment on the Washington, D.C. inauguration debacle. Two top tier police managers received for cause findings from City EOD indicating involved officers had been the subject of discriminatory action in the selection process. Both managers explained they had followed orders given them by Chief Garcia. Normal protocol after a for cause EOD finding is for PSB to do a follow up internal investigation. 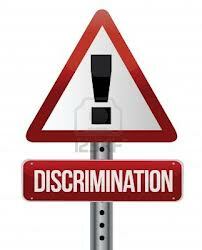 Under PPD policy, supervisors who are sustained on EEO violations are referred to the DRB for an 8-40 hour suspension. Asst. City Manager Ed Zuercher subverted the normal process in order to protect top police management offcials by issuing a “Letter of Concern.” A “Letter of Concern” doesn’t exist anywhere in department or city policy. Top level managers can rest comfortably knowing that new rules and procedures can be manufactured as needed to protect them. In his interview, Chief Garcia takes responsibility for what occurred, but somehow doesn’t think discipline is warranted since “no harm occurred.” With this warped line of thought one would have to wonder why we even bother to issue speeding tickets anymore. No harm occurs in the vast majority of situations involving speeding violations. In fact, a great many DUI arrests are situations where no harm occurred. The Phoenix Police Department routinely investigates and punishes rank and file officers for internal rule violations where no harm occurrred. The standard on the PPD has always been; if there are sustained allegations of rules violations that discipline in some form will follow. One has to wonder; will the new “no harm no foul” policy espoused by the Chief translate to lower level supervisors and rank and file officers when it comes to receiving discipline? CLICK HERE to read the letter of concern issued by Asst. City Manager Ed Zuercher. CLICK HERE to read the March 6, 2013 article from the AZ Republic.